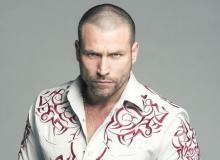 Rafael Amaya is set to return as Aurelio Casillas for Season 5 of "El Señor De Los Cielos." Dulce María stars along with a stellar cast in Televisa's "Corazón Que Miente" telenovela. Find out what this new production is all about here! Telenovela star Gaby Spanic is not a happy camper with Azteca. Find out why the actress is suing the Mexican network. Univision announced new telenovelas coming to the small screen for the 2016-2017 season. Find out what the dramas will be all about! "Las Amazonas" is an updated version of "Niña Amada Mía." Take a look at side by side comparison of both telenovelas here! Cast of Season 3 of "Señora Acero" has been announced and we have details on how series will move on without Blanca Soto. 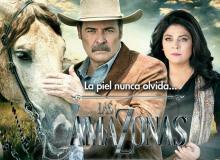 "Las Amazonas" is Televisa's new production starring Victoria Ruffo and César Evora. Watch a full extended preview of the telenovela here! "Las Amazonas" telenovela is a remake of "Niña... Amada Mía," and it stars Victoria Ruffo, Danna García, Grettel Valdez and Mariluz Bermudez. Watch latest preview here! "Tres Veces Ana" is one of the most anticipated telenovelas of the season starring Angelique Boyer and Sebastián Rulli. Watch an extended preview of upcoming Univision telenovela here! Travel through time with all the telenovelas Maite Perroni has participated in since her debut on "Rebelde." Francisco Pizaña plays the role of Omar on "Yago." He is the character that is betrayed by his closest friends and returns with a new face looking for revenge. Sebastián Rulli, David Zepeda and Pedro Moreno are three of Angelique Boyer's men on "Tres Veces Ana." Meet the characters they will be playing. Victoria Ruffo returns to telenovelas with "Las Amazonas." Watch new preview of melodrama coming soon to Univision. 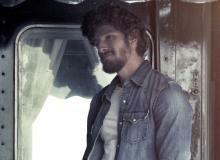 "El Señor De Los Cielos" and "Yago" are two telenovelas currently airing in primetime. Find out how they stack up against all the offerings from Telemundo and Univision. Sunday, May 8, is Mother's Day, but not every mom deserves gifts and flowers. Here are the 10 worst mothers from our favorite telenovelas.